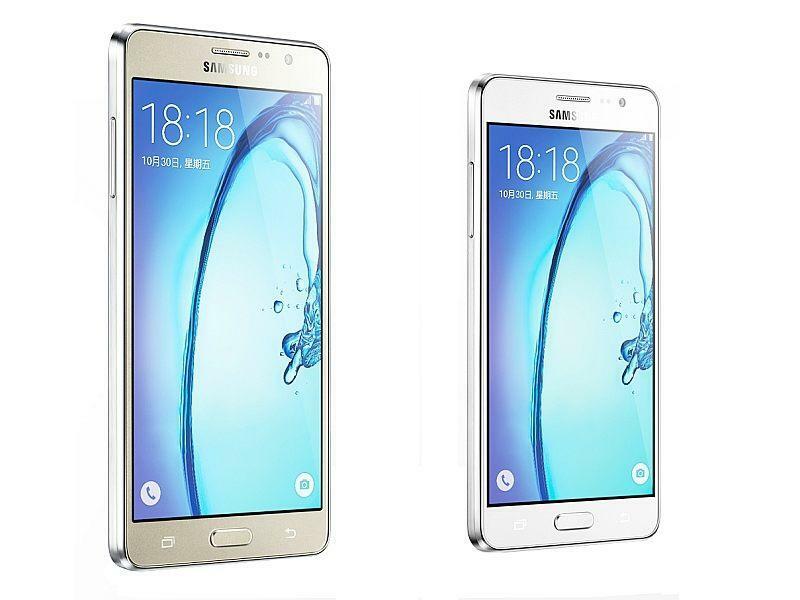 Samsung has launched its Galaxy On series of smartphones in India. The Samsung Galaxy On5 has been priced at Rs. 8,990, while the Samsung Galaxy On7 has been priced at Rs. 10,990. The dual-SIM dual-4G Android 5.1.1 Lollipop-based smartphones from Samsung will be available from midnight Tuesday exclusively via Flipkart, in Black and Gold colour variants. The Galaxy On5 features a 5-inch HD (720x1280 pixel) TFT display, and is powered by a 1.3GHz quad-core Exynos 3475 SoC coupled with 1.5GB of RAM. It sports an 8-megapixel rear autofocus camera and a 5-megapixel front camera. The smartphone comes with 8GB of built-in storage that is expandable via microSD card (up to 128GB). Connectivity options on the Galaxy On5 include 4G LTE (with support for Indian LTE bands), Bluetooth, GPS, Glonass, Micro-USB, 3G, GPRS/ EDGE, and Wi-Fi 802.11 b/g/n. It bears a 2600mAh battery, measures 142.3x72.1x8.5mm, and weighs 149 grams. The Galaxy On7 features nearly identical specifications to the Galaxy On5, except for a larger display and battery, as well as a higher resolution sensor and a different processor. It bears a 5.5-inch HD (720x1280 pixel) TFT display, and runs on a 1.2GHz quad-core Snapdragon 410 SoC coupled with 1.5GB of RAM. It sports an 13-megapixel rear autofocus camera and a 5-megapixel front camera. Like the Galaxy On5, the Galaxy On7 bears 8GB of built-in storage that's expandable via microSD card (up to 128GB). Connectivity options on the smartphone include 4G LTE (with support for Indian LTE bands), Bluetooth, GPS, Glonass, Micro-USB, 3G, GPRS/ EDGE, and Wi-Fi 802.11 b/g/n. It is powered by a 3000mAh battery, measures 151.8x77.5x8.2mm, and weighs 172 grams.